Water is on everyone's lips today so we look to our back garden to see how the design world is utilising this natural resource in innovative ways. Bjarke Ingels is a member of a new generation of architects that combine shrewd analysis, playful experimentation, social responsibility and humour. Today being World Water Day, it's an opportune time to survey what's going on in the design world with water-related design ideas. Water is a focal point within sustainable design, it being vital to the survival of all life forms and yet almost one billion people lacking access to safe drinking water. Looking to our back garden, some speakers from Design Indaba Conference 2012 have been doing some innovative work with water as its medium or as its inspiration, in a celebration of, or call to arms to save, this depleting natural resource. Rahim Bhimani is an industrial designer who was one of the Pecha Kucha team at Design Indaba Conference 2012, the team comprising top graduates from around the world. As part of his thesis at Carleton University, Rahim developed the 'DR Toilet'. It is a flat-pack toilet system designed to aid natural disaster victims with no or limited access to toilet facilities. This leads to their discarding waste in nearby lakes, rivers or dams, which ultimately contaminates their drinking water and spreads waterborne diseases such as cholera. 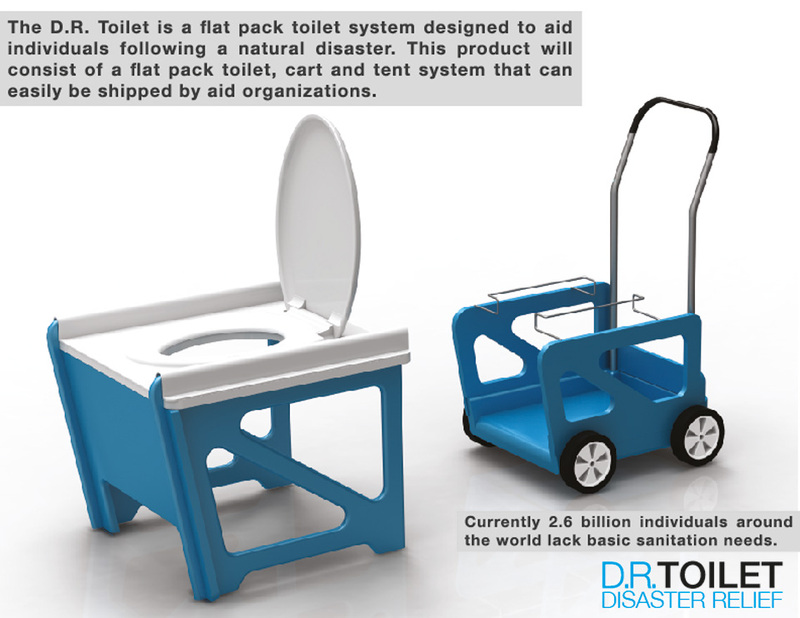 The DR Toilet consists of a flat-pack toilet, cart, biodegradable bags and a tent system that can easily be shipped and assembled by aid organizations. The design for the water pavilion grew out of a central challenge: How to make fluid, reconfigurable architecture? Our building aims to stand as a possible answer to this endeavour. 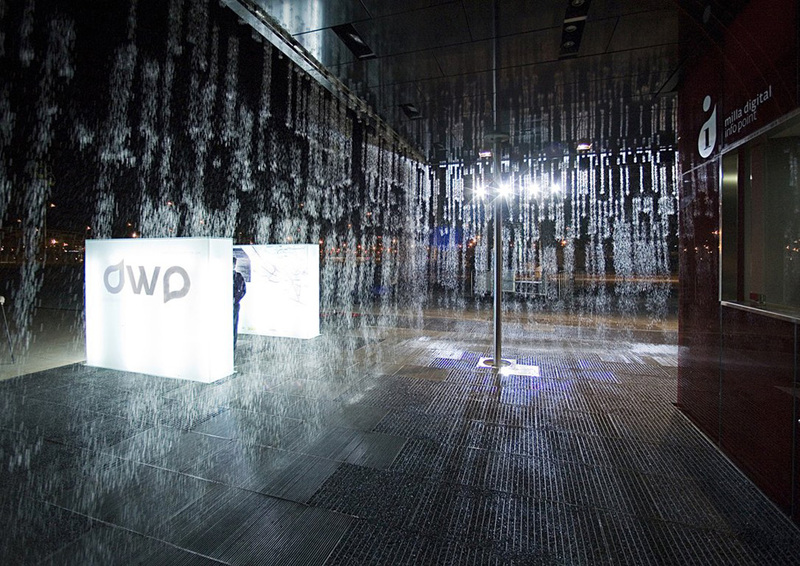 The Digital Water Pavilion illustrates how buildings of the future may change their appearance and form from moment to moment, based on necessity and use. 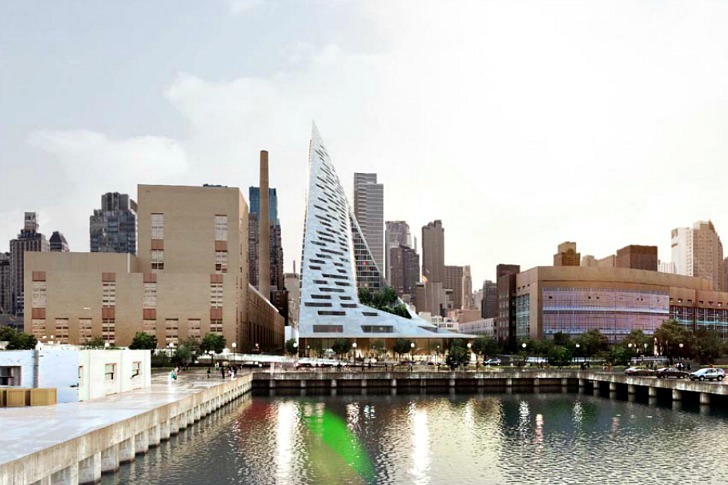 With the West 57 Street residential building, Bjarke Ingels, founder of BIG (Bjarke Ingels Group), puts the natural resource at the core of an inner-city project in prime New York real estate. The form of the building shifts depending on the viewer's standpoint. From one side it looks like a towering skyscraper, but from the other it opens up to the waterfront, extending the adjacent greenery of the Hudson Park River into a lush, urban oasis, preserving the beauty of nature while leveraging the location of the metropolis. The communal intimacy of the central urban oasis meets the efficiency, density and panoramic views of the tall tower in a new hybrid typology.